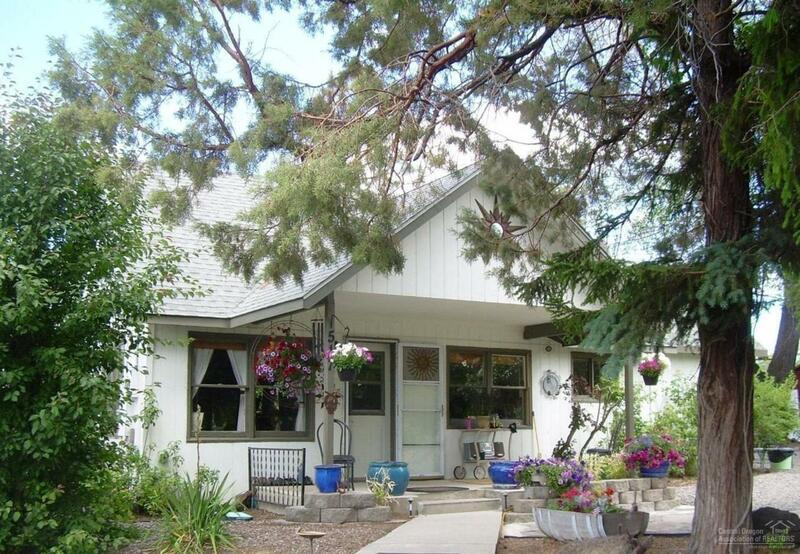 Charming older home with newer carpet & laminate flooring, & interior paint, upgraded monitor heating, park like setting w/old growth trees, fruit trees, water features, cool old barn/garage/shop w/220 power. Included is an antique kitchen cook stove that is installed and usable. Close to all Terrebonne has to offer- restaurants, schools, hardware store, post office, and famous Smith Rock State Park with view of Monkey Face rock. Large irrigation canal runs thru property, like having your own private river.Sellers are offering the option to purchase the adjoining .68 acre lot for $145,000 with the purchase of the home.